This course meets the academic requirements necessary to apply for provincial certification for first time applicants. 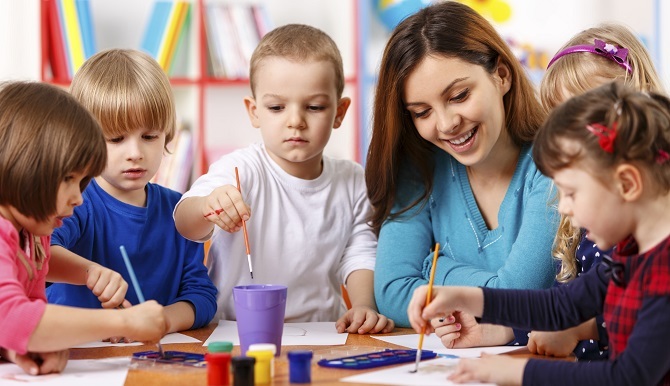 The Early Childhood Educator Assistant(ECEA) courses prepare students to work in a licensed child care facility, supporting children who have varying family, cultural, and individual needs. Each of the courses listed above are online courses. (c) submit the course outline to the director. This is to fulfill the requirement under section 28 of the Community Care and Assisted Living Act. This course provides a historical and theoretical understanding of development throughout the life-span with a focus on physical, cognitive, language and socio-emotional development. Students will explore prominent approaches and theories related to life-span development. Genetic and environmental factors which influence individual growth will be analyzed. Indicators of developmental delays or concerns and associated risks will be explored. Students will also explore strategies that can be used in the classroom to meet the individual needs of students. This course provides an understanding of Child Guidance. In this course, students will take an in-depth look at the relationship of environment and development on children’s behaviour. Students will study strategies, resources and skills needed to develop positive approaches to guide a child’s behaviour. Caring skills and techniques which support and enable children to develop self-esteem will be analyzed. Students will examine child guidance from infancy to the early primary years. Students will explore what children need from their learning environment in order to thrive in order to thrive. The importance of supporting the well-being of the whole child (emotional, social, physical, creative, and cognitive) is explored. This course provides a deep study of child health, safety and nutrition. Students will create and maintain a variety of policies that ensure health and safety for children. Students will learn and study how to implement universal precautions, hygiene standards and procedures. Students will explore how to plan, prepare and serve meals and snacks that meet a child’s nutritional needs. With a focus on prevention, students will explore strategies to assess, manage and report illness. Child protection responsibilities and licensing requirements will be studied. Students will learn the theoretical principles of health, safety and nutrition which they will be able to apply to the early childhood curriculum.